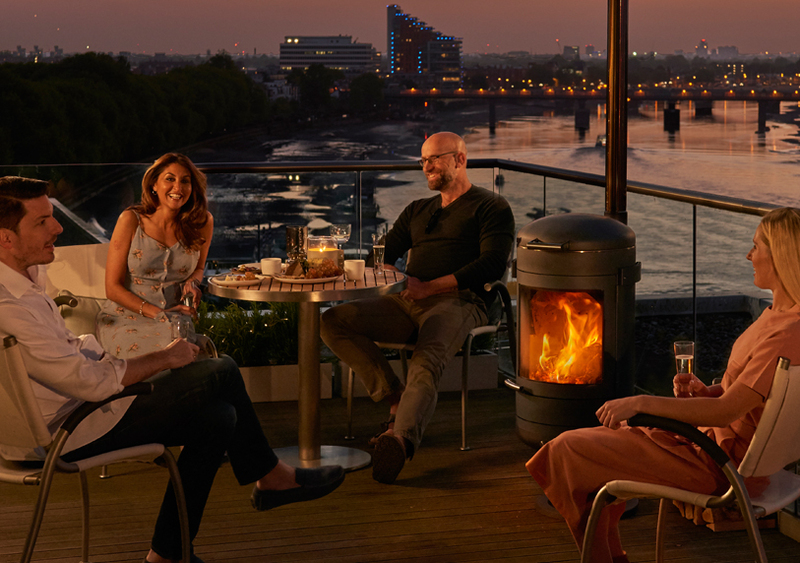 More than just a barbecue, more than just an outdoor heater. It's a whole new cooking experience. Now you'll be able to sit outside and relax after a meal for as long as you like. 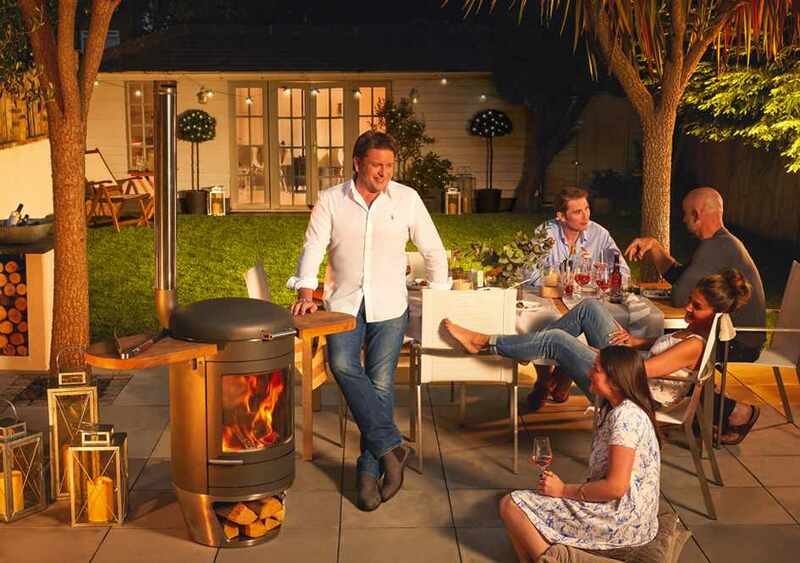 Once the barbecuing is finished the transition to outdoor heating mode is achieved with the movement of a single component. Repositioning a baffle inside the appliance transforms it from a multifaceted barbecue cooker to a highly efficient and attractive outdoor heater, which will deliver up to 700 degrees of radiant heat. Place logs on the charcoal or wood ashes that have been used to cook and within minutes the heater is creating its own micro climate. 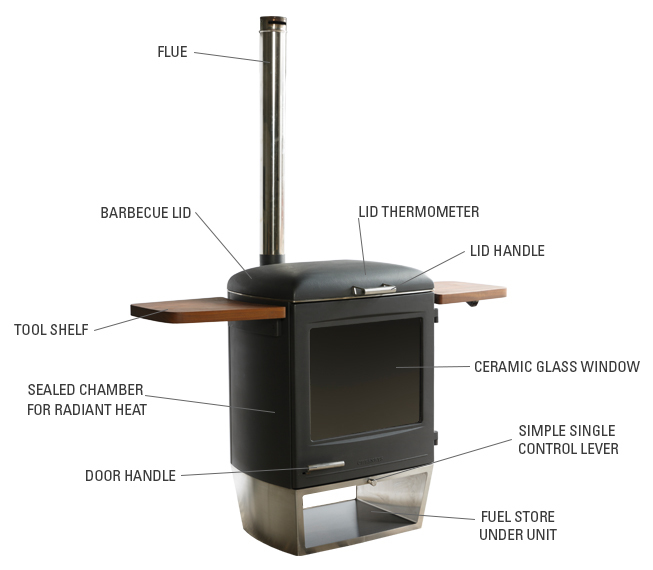 The heater operates in the same way as a stove with a glass door that opens so that the fuel can be replenished. It has a single lever operating a valve that controls the amount of air entering the chamber and governs the rate at which the fire burns and the level of heat it generates. CALL US NOW TO PLACE YOUR ORDER ON 01902898221 or drop by our showroom to see them on display.